Moving to Kingston upon Thames, KT1 | Top Services Call Us Today! Would you like a move that is easy, stress-free, smooth and non-time consuming? Well, now you can have one thanks to Moving Service. When you hire us, you can have the move of your dreams. Most of the time, moving is terribly hectic and time consuming. We try to eliminate the stress of moving for you so that you don’t have to keep worrying. We boast a full list of removals services in Kingston upon Thames, KT1 such as domestic removals, office removals, man with van, self storage units, packing and unpacking, and student removals. Whatever you need for your move, we will do everything we can to help! It is our main aim to ensure that your entire move is easy and smooth. If you need our help, please take it now. It is a pleasure to help our clients and all we want is your move to be chaos-free. 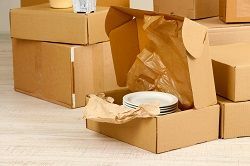 We can pack for you, transport your belongings, store your belongings, unpack and clean up any mess of boxes and materials. In other words, we can do everything in a removals process for you. Call us now on 020 8746 4402 for more information and we’d be so pleased to help you out. A Place Full Of Sightseeings! The area is a beautiful place full of amazing sights and you can have a great shopping experience here. The town centre of the area is under the postcode district of KT1. It is also located in the Royal Borough of Kingston upon Thames. This town has a population of around 43,013 residents. There are numerous landmarks in the area. One of them is the red telephone boxes. Another is the sculpture by David Mach. Apart from these, there is a great shopping spot in the central part of the area and in terms of shopping, there is something for everybody. Whatever your budget, you are bound to find something to meet your price range here. 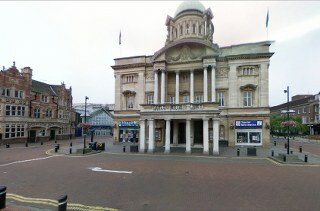 The Rose Theatre is another landmark which is a great place to visit. There is so much culture here and visitors will find it a pleasurable place. Make Moving Service your first choice if you need removal in Kingston upon Thames, KT1. Both home moves and office moves are equally stressful, so if you would like professional help with any of your moves, allow us to step in and help you. We understand the pressure that moving can bring and if you already have a job and a family to look after, moving can be a real nightmare. Because we have so much experience, we can help. We know what we are doing and we are confident that we can make your move much easier. We will save you time, energy, money and hard work. So, please take advantage of our great value for money of removals services around KT2 area. If you call 020 8746 4402, customer service can help you with whatever you need. If you have any questions you would like to ask, go ahead and they will be happy to help. If you get in touch with us soon, you can get a free removals quote. Besides, our services are at fixed prices. So, you don’t have to worry about any additional fees. We don’t do that! Straightforward and easy booking process. The move to KT1 was just as simple under their direction. Can't recommend this removals firm enough.